Once your site is established and has some traffic, you need to make the most of its earning potential. So your next move should be to begin A/B testing. A/B testing is the tried-and-trusted ‘secret sauce’ that drives high-quality sites higher. 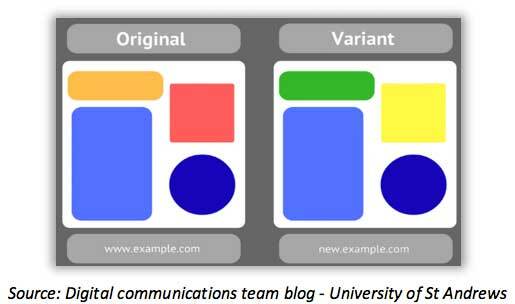 In the simplest type of A/B test, visitors to your site are randomly shown one of two variants of an existing page. A set of tools that you’ve set up then records the time spent on the page, the bounce rate and other data – it’s a scientific way of deciding which of your two pages is the most effective option. 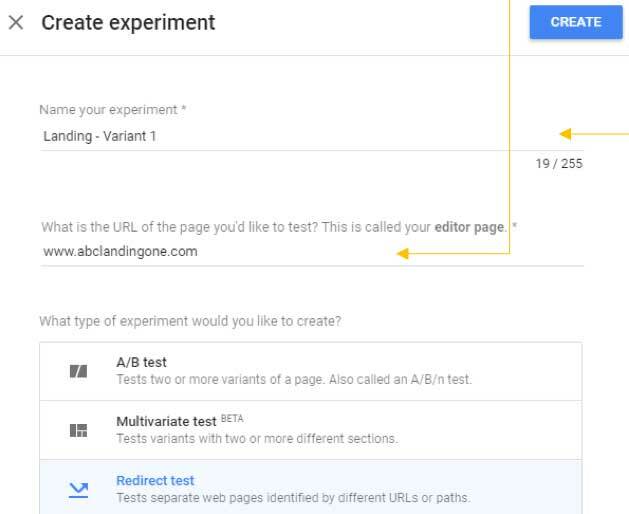 In this post, we’ll explain how to set up A/B testing in WordPress, and show you how to run experiments on your site, for free. Google tools allow unlimited A/B testing. Extensive setup is required, but it’s a one-time process. To get started, you’ll need to set up Google Analytics, Google Tag Manager, and Google Optimize on your site. 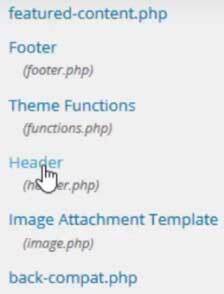 Then, you’ll set up a redirect test by creating two versions of a post in WordPress. In Google Optimize, you’ll set up an experiment that randomly assigns users to see the two versions of the post. 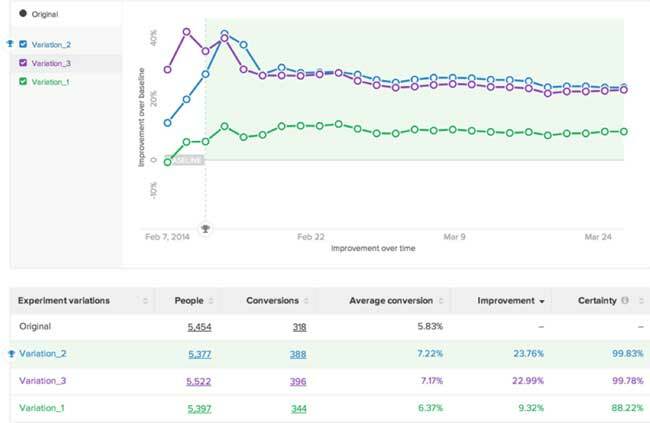 Finally, in the Google Optimize reports, you’ll measure the results. We’re going to get technical and in depth here. But we’ll show you exactly what to do… there’s nothing that’s actually too complicated. Remember, the rewards are great. Note: Make sure to jot down the Tracking ID for your account, since it is required in future steps. 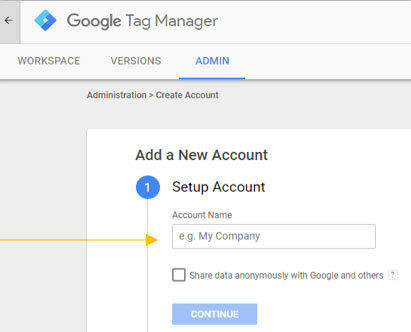 You can install Analytics via a plug-in, directly in the code, or you could even use Google Tag Manager. Just ensure you only install Analytics once. 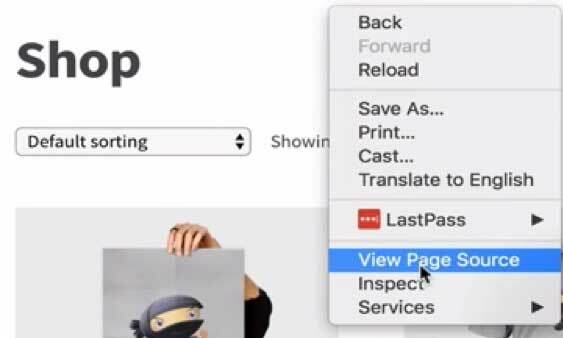 Tags usually execute when a page loads, or as a response to some interaction on the page. A tag manager is a versatile platform to update, add and administer these tags. It uses its own container tag, which is placed on all your website pages. 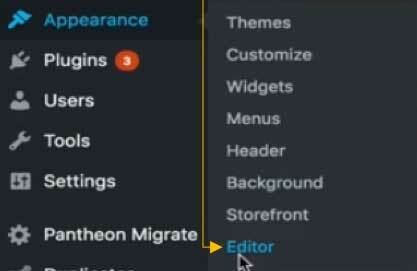 Without a tag manager, the code for each of your tags must be added manually to the source code of your site. 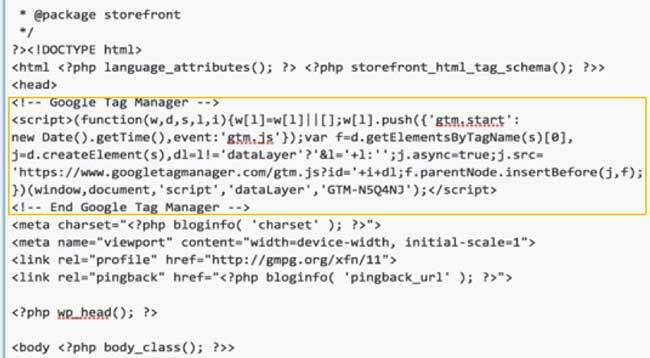 GTM helps you to manage how tags are deployed on your website or mobile app. It controls how the tags are fired and how your tag data is handled, using triggers, variables and a data layer. You simply specify the tags you want to use and GTM does the heavy lifting. GTM for the web is deployed using a single container-code snippet, which you place on all your pages. GTM SDK is used for mobile apps. 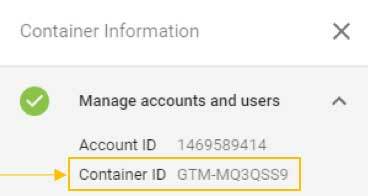 GTM will save you time, add scalability to your site implementation, is easy to use, and yet also enables you to create complex, customised tags. 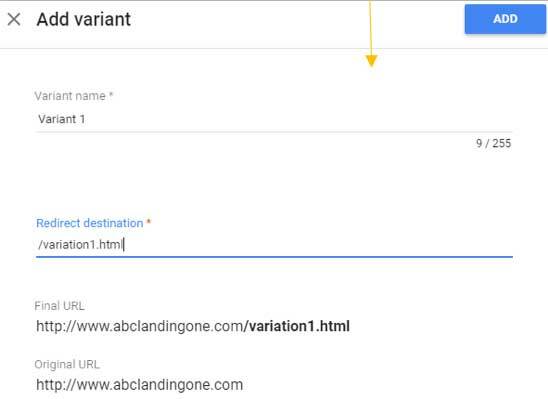 This is Google’s A/B testing and personalisation platform, which enables users to test variations of a website to improve conversions. It’s natively integrated with Google Analytics. 8. 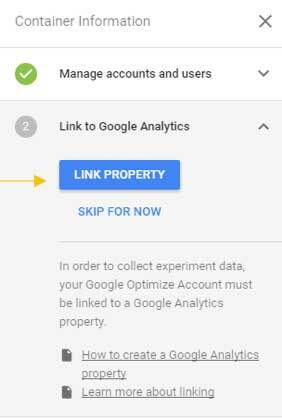 Now you’ve finished creating a Google Optimize account and linked it to Google Analytics. The next step is to add Optimize to your website. 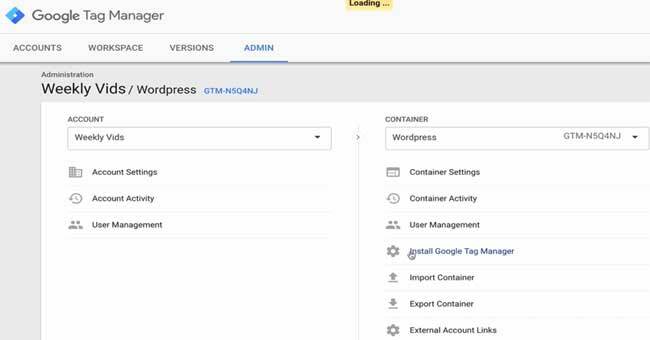 To install GTM on your WordPress site, you need to add some code to the header and footer sections of your WordPress Theme. There’s more Information here. You can also review your site’s active tags with the Chrome Google Tag Assistant Chrome Extension. View the video here. Another technical note: The method above will not work on WordPress sites which use the Genesis Framework. It’s beyond the scope of this article, but the Genesis Framework will require you to change the functions.php code. 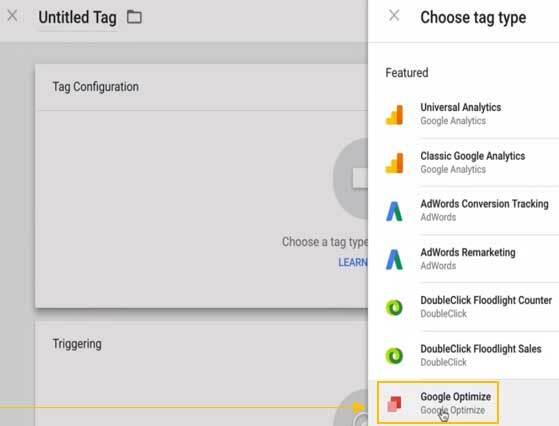 Google Optimize will now be running on your WordPress site, through Google Tag Manager. A Redirect test is a type a type of A/B test which uses two distinct pages and tests their effectiveness against each other. In this case, two variants are identified by two URL paths. Instead of testing two versions of the same web page, you test two different pages against each other. Tests of this kind are useful when you want to see how two very different landing pages perform, or you’re testing a complete redesign of a page. Objectives are metrics you can use to judge the success or failure of your experiment. 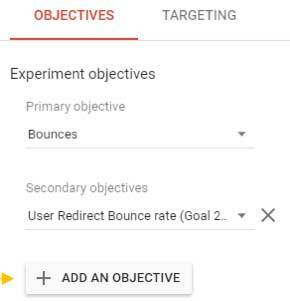 There are several Objective types within Google Optimize, which include page views, session durations and bounces. 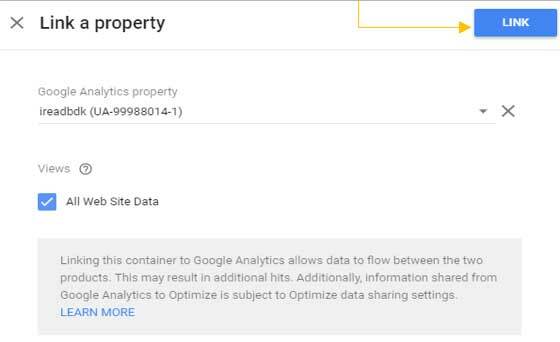 If you’ve connected your Google Optimize account with your Google Analytics account, you can test against the custom goals you’ve created in Analytics. Since the default objectives are limited, it’s better to set up your own custom goals. 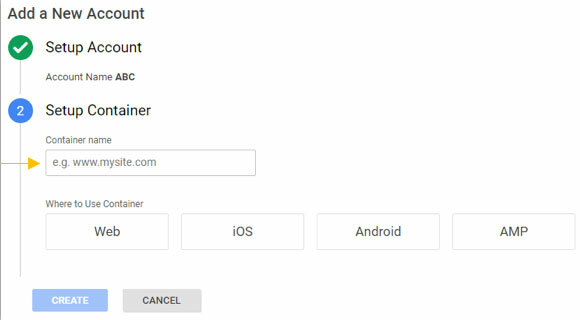 Targeting focuses on customising the percentage of users who are participating on each variant of your test, as well as the weighting of visitors depending on each target. As you’ll appreciate form the image above, the ability to experiment with tests of this kind is the key to successfully optimising your conversions and improving the earning potential of your website. Once you’ve performed some experiments, you should research the range of excellent techniques now open to you using the tools you’ve set up in this tutorial – you can create custom goals (such as ordering a product); use Optimize to modify the appearance of your site, and you can even create a goal funnel. A/B testing is a very powerful tool – get started, and enjoy!